them further collaboration between Thailand and IRRI. BANGKOK, Thailand—During a meeting at the Thai Ministry of Agriculture and Cooperatives on 16 February, Thailand and the International Rice Research Institute (IRRI) agreed to expand their partnership through more collaborative research activities. The research agenda was discussed with the Thai Rice Department (TRD). Present were TRD Director General Anan Suwannarat, Deputy Director General Alongkorn Kormtong, and other TRD officials. IRRI was represented by V. Bruce J. Tolentino, IRRI deputy director general for communication and partnerships, and Suthad Setboonsarng, member of the IRRI Board of Trustees. 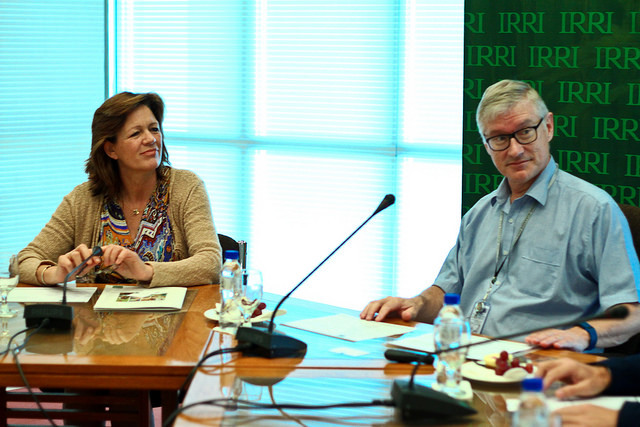 “We have achieved great strides in strengthening the relationship between TRD and IRRI by working on more collaborative research projects,” said Tolentino. Thailand and IRRI have been working together for many years through the institute’s partnership platforms such as the Consortium for Unfavorable Rice Environments (CURE), the Closing Rice Yield Gaps in Asia with Reduced Environmental Footprint (CORIGAP), the project on RemoteSensing-Based Information and Insurance for Crops in Emerging Economics (RIICE), the International Network for Genetic Evaluation of Rice (INGER), and Rice Multi-Environment Varietal Testing (MET). 1. Dissecting the genetic architecture of rice yield components, grain quality, pest resistance, and root traits through genome-wide association studies. 2. Evaluation of methane emissions from paddy fields using the denitrification-decomposition model and GIS tool. 3. 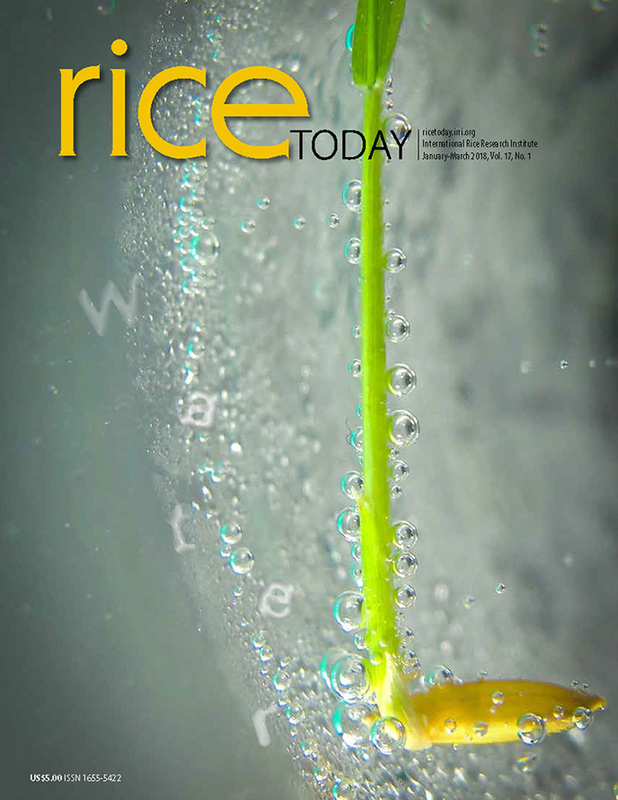 Enhancement of water-use efficiency for rice growth in irrigated areas. 4. 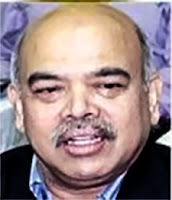 Utilization of PCR-based markers for detection of rice quality traits. 5. Development of improved field diagnostic kits for multiple rice viruses. 6. Training course on ecological management of rodents, weeds, insects, and birds in rice agroecosystems. 7. Training course on rice production technology. 8. Training course on rice seed production, testing, and certification. 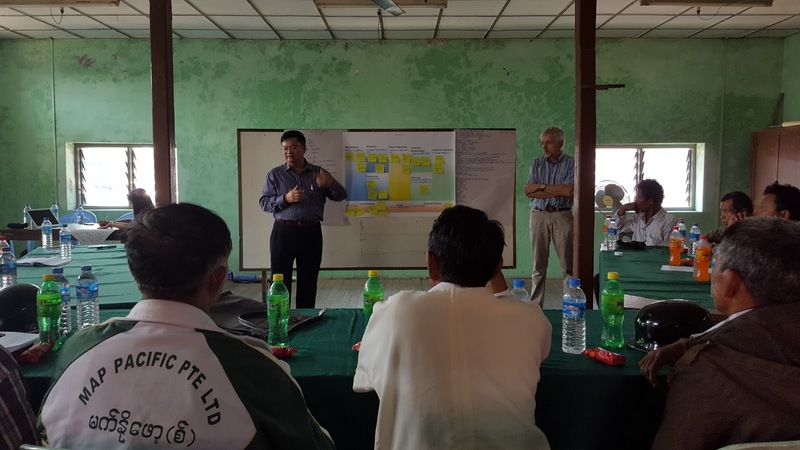 Moreover, TRD and IRRI are working together on two project proposals on developing learning and technology transfer in Thai rice through the Thai Rice Knowledge Bank and training and demonstration on laser land leveling. To establish IRRI’s long-term presence and research program in Thailand, discussions are now moving toward the signing of a Host Country Agreement between Thailand and IRRI. The collaboration between Thailand and IRRI started in 1960 when IRRI was established. Thailand has been a constant supporter of IRRI’s research agenda. Read more about the 56-year Thailand-IRRI partnership. 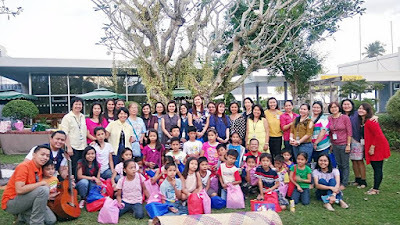 The Society of IRRI Non-research Professionals (SINoP) celebrated the traditional start of the Holy Week, a shared birthday party for its members, a fun day with orphans, and welcomed this year’s officers. On 10 February, the organization sponsored the Ash Wednesday Mass at IRRI. Ash Wednesday is one of the most popular and important holy days in the liturgical calendar. The mass has become an annual offering of SINoP to the IRRI community. 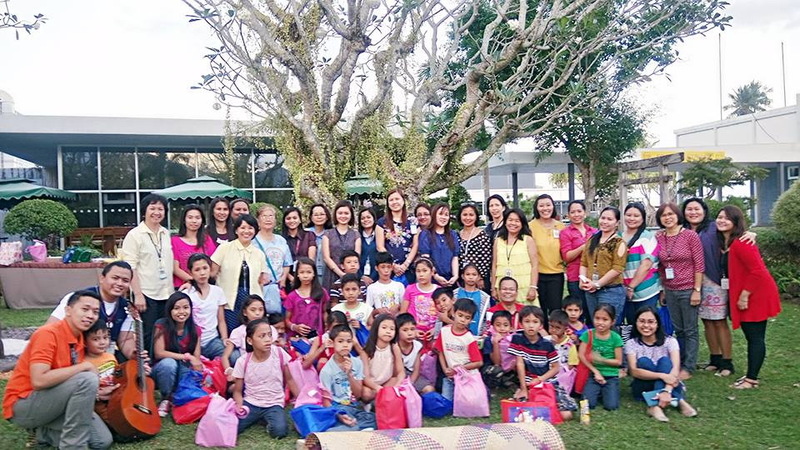 On 11 February, SINoP held a 3-in-1 event which included the induction of its the new set of officers and members, a joint birthday get-together for members who celebrated their birthdays within January to March, and a day with the children of Pinagpala Orphanage House. The orphanage is one of the beneficiaries of SINoP’s fund-raising drive through the years. Other beneficiaries of the organization, including SINoP scholars, also joined the celebration. Ms Jomi Cruz, HRS talent management and advisory services, helped welcomed SINoP's new members. The program started with a special number from the children of Pinagpala. Singing, food, and raffle draws also filled the joyful and heartfelt occasion. Other Members of the Board of Directors include Janet Lazarte, Gigi Caballero, Achu Arboleda, and Adonna Robles. Mark Gruner, finance comptroller, inducted the new set of board members. 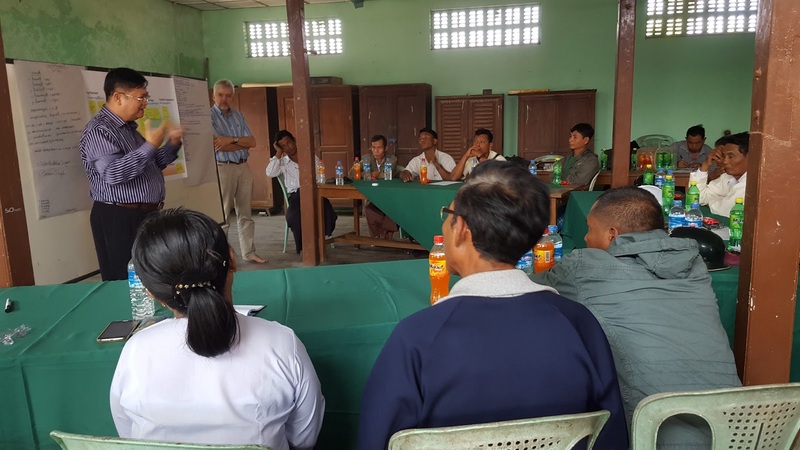 MAUBIN TOWNSHIP, Myanmar –Farmers from rice-based villages have developed business plans for the sustainable use of postharvest equipment and generating income by providing postharvest services to other farmers. Eleven farmers, representing three farmer groups from Maubin and Daik-U Townships, created practical business frameworks for threshing, drying, and storage technologies developed by the International Rice Research Institute (IRRI). The plans were formed with assistance from the Department of Agriculture and IRRI's postharvest group. 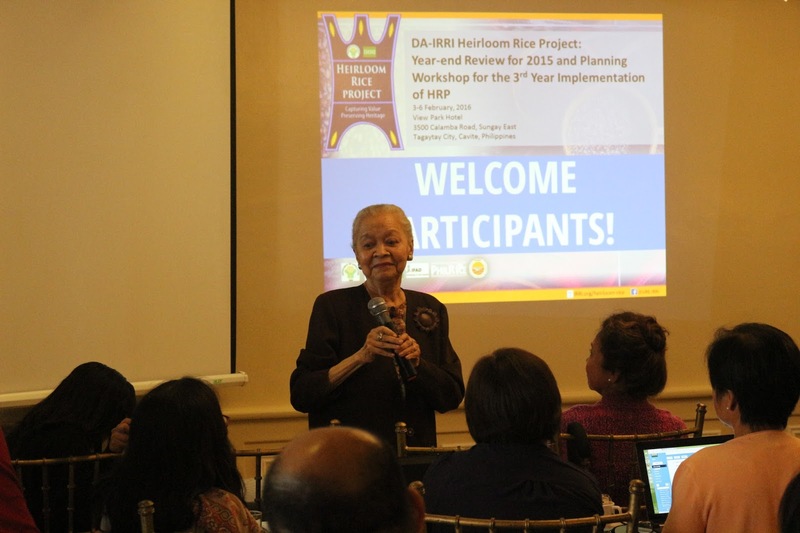 Through the Learning Alliance (LA), IRRI will lend threshers, solar dryers, and hermetic storage technologies to the farmer groups that will provide postproduction-related services to other rice farmers. The LA is a platform supported by the project, Diversification and intensification of rice-based cropping systems in lower Myanmar (MyRice), and the Australian Centre for International Agricultural Research. The farmer groups will then use the earnings to pay for the equipment through MyRice. Using this approach, which is similar to leasing, IRRI can demonstrate the viability of the business model without the need for an upfront investment. Such an investment is an unrealistic requirement for farmers who have to take considerable risks when trying a new technology. The farmer groups, which are also LA members, and Dr. Myo Aung Kyaw from the Pioneer Postharvest Development Group, discussed mechanisms to manage the equipment.This Group is one of IRRI’s key partners in Myanmar. They also formed groups to assign roles and responsibilities to ensure proper maintenance of the equipment as well as a practical business plan that provides services to potential clients. The farmer groups will validate and fine tune the initial business model developed during the April 2016 harvesting season. Through the LA, MyRice will provide the technical assistance and advice on managerial issues that might occur during the piloting. “If we can fully develop a business model for at least for one technology, we can use the data as a benchmark to develop more business models for other postharvest technologies that will cater to other interested farmers or farmer groups in Myanmar,” Gummert said. BAGUIO CITY, Philippines—Heirloom rice farmers of the Cordillera Administrative Region are now better linked with both local and international markets that will provide them with higher income opportunities. This is one of the major project achievements for 2015 reported by Dr. Digna Manzanilla, coordinator of the Consortium for Unfavorable Rice Environments (CURE), and Annette Tobias, assistant scientist at the International Rice Research Institute (IRRI), during the 8th Annual Country Programme Review by the International Fund for the Agricultural Development (IFAD). To support heirloom rice farmers within self-help groups, CURE through the Heirloom Rice Project (HRP), conducted a training on business planning . Manzanilla (photo) highlighted other significant project accomplishments and activities such as testing and validating stress-tolerant rice varieties, local capacity enhancement, and knowledge management in partnership with the Philippine Rice Research Institute (PhilRice). The writeshops on upscaling innovations were also among CURE’s main accomplishments for 2015 that she presented. With this year’s theme, Assessing the IFAD-PH Country Experience Towards Innovative Development Models, the event aimed at sharing the government’s expectations on the contribution of loans and projects towards realizing the Philippine Development Plan 2011-16. Present during the event, held on 26-28 January, were 47 representatives from 12 IFAD loan and project grants. Other participants came from government agencies such as the Department of Budget and Management, Department of Agriculture, and Department of Agrarian Reform. Participants visited IFAD-funded project sites such as Cattubo and Abiang in Benguet under the Second Cordillera Highland Agricultural Resource Management Project (CHARMP2). During this guided field visit, the participants were able to interact with the implementers, partners, and project beneficiaries. They also visited the rehabilitated Calasipan-Apanberang-Mongoto farm-to-market road, the organic garden of the livelihood investment groups, the reforestation and agroforestry site, and the coffee processing center of the Abiang Community Multipurpose Cooperative. CURE, one of the projects funded by IFAD, aims to help 100 million poor farm households in Asia who depend on rice. CURE is coordinated by IRRI in collaboration with the Department of Agriculture and PhilRice. CHARMP2 works to reduce poverty and improve the quality of life of rural communities in the highlands of the Cordillera Administrative Region through community mobilization, watershed conservation, agriculture and agribusiness development, promotion of income-generating activities, and the development of rural infrastructure. CHARMP2 forged a partnership with CURE to strengthen its development interventions and enable CURE to introduce and extend technological options over a wider area.